SAN FRANCISCO -- Canada's Magna International's Magna Steyr unit said on Monday that it will build BMW's new 5-series plug-in hybrid. 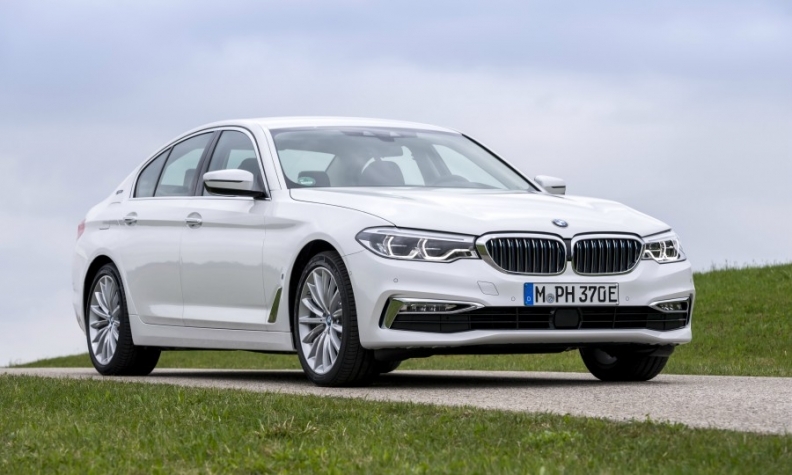 The BMW 530e model will be manufactured beginning this summer at Magna Steyr's plant in Graz, Austria, where the contract manufacturer already plans to produce Jaguar's I-Pace electric SUV starting early next year. Magna International, North America's largest automotive supplier and the third globally, is alone among the top auto suppliers to perform contract manufacturing for carmakers. Its Austrian plant can produce about 200,000 cars per year. Magna is currently building a new paint shop in Slovenia due to increased demand. A Magna spokeswoman would not comment on a statement by the Slovenian government in March that the auto supplier would potentially invest up to 1.24 billion euros (C $1.8 billion) in the country, including a car plant with capacity of 100,000 to 200,000 vehicles per year. Global automakers and their suppliers are investing heavily in fully-electric and gasoline-electric hybrid vehicles. Consumer demand is still low versus that for standard vehicles, but companies are beginning to offer more choices to respond to government mandates for greater sales of vehicles that emit little or no carbon dioxide, and prepare for a future experts believe will be dominated by greener vehicles. Rival tier-one auto supplier Continental, for example, said in April it was increasing spending by 300 million euros (C $443 million) on new products such as charging systems and battery management components related to electric vehicles. Having contract manufacturing in its portfolio creates a niche for Magna as automakers slowly bring more electrified vehicles to market over the next decade. For automakers, outsourcing the assembly can be an advantage on low-volume models to minimize capital expenditures and avoid tying up their own production lines. Swamy Kotagiri, Magna's chief technology officer, said he sees contract manufacturing of electric vehicles as a "near-term opportunity" for the company, given that by 2025, 40 to 50 per cent of all vehicles produced will include some electrification elements. "We are setting up knowing the penetration will be higher," the executive said.